I REALLY LIKE BELLEVILLE. It’s in the east of Paris, straddling the 19th and 20th arrondissements but it also incorporates parts of the 10th and 11th as well. Like many of the independent communes surrounding Paris, Belleville was incorporated into the city in 1860. The people of Belleville played a large part in the Revolution of 1848 helping to establish the Second French Republic and in 1871 they were strong supporters of the Paris Commune. 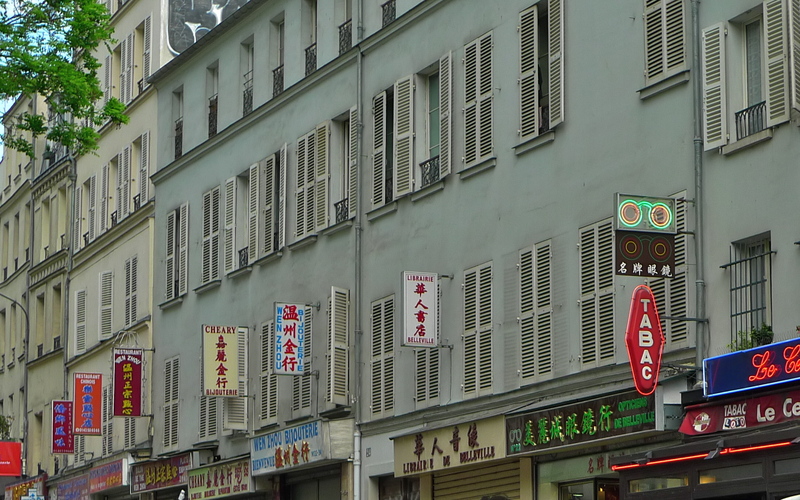 The French singer and cultural icon, Edith Piaf, emerged from these working class roots. 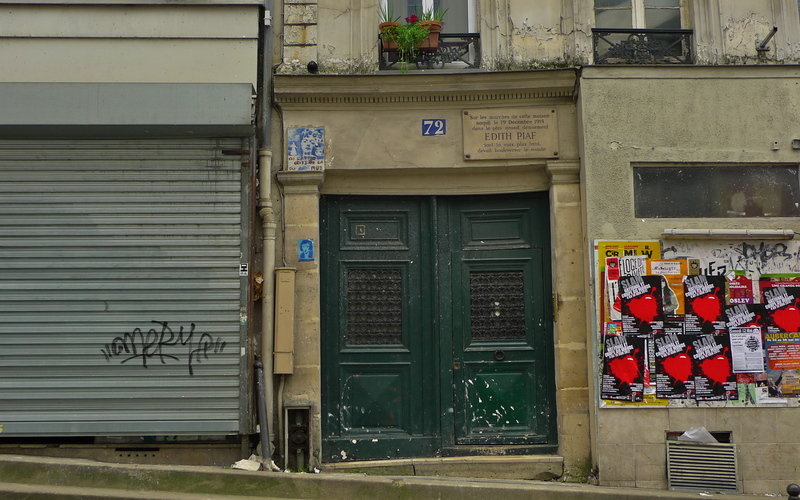 The story is that she was born in the street, in the snow, under a lamp post, outside N° 72 rue de Belleville. 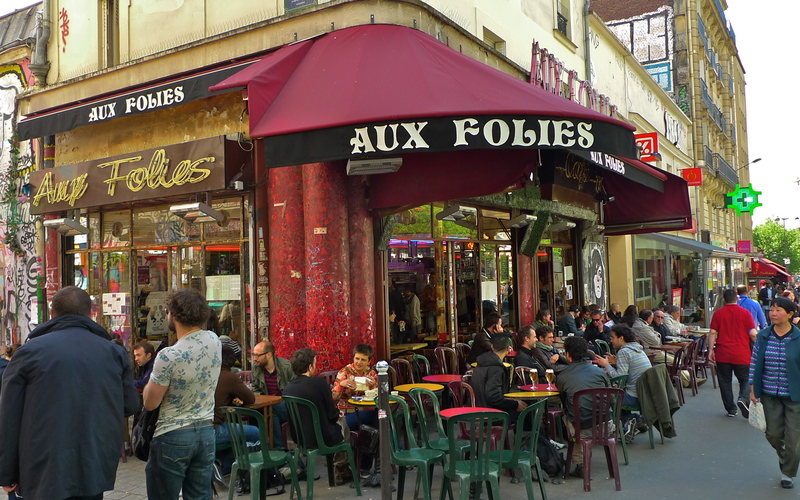 Further down the rue de Belleville is Aux Folies, a former theatre where Edith Piaf, Maurice Chevalier and many others performed regularly. 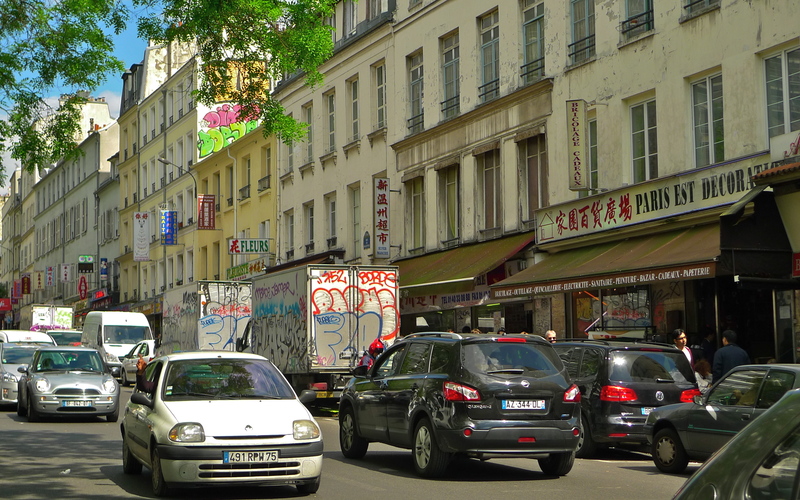 The Rue de Belleville is the main artery through the commune and it’s home to its fair share of traffic. Although we accept the sound of traffic as part and parcel of city living it can be irritating and a nuisance, but if we stop and actually listen to the sound of traffic it can often take on a different hue. It’s sometimes possible for traffic and pedestrians to exist in harmony rather than at odds with each other. 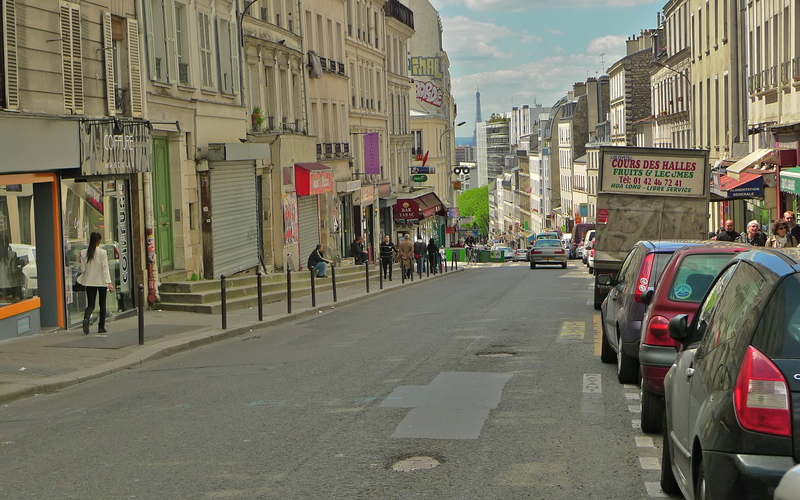 I recorded these sounds in the Rue de Belleville last Saturday and I think they illustrate the point. 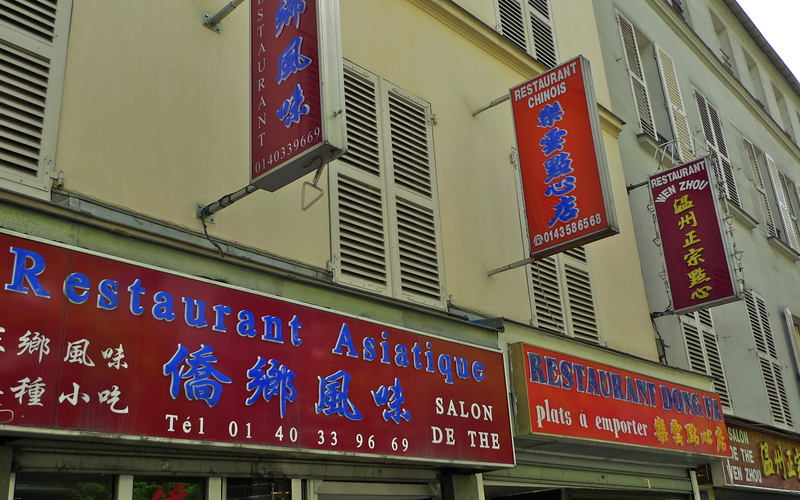 Today, Belleville has a culturally diverse population and it’s home to one of the city’s two Chinatowns which means that, along with echoes of Edith Piaf and the sound of traffic, there is a rich and diverse tapestry of sounds to be heard. 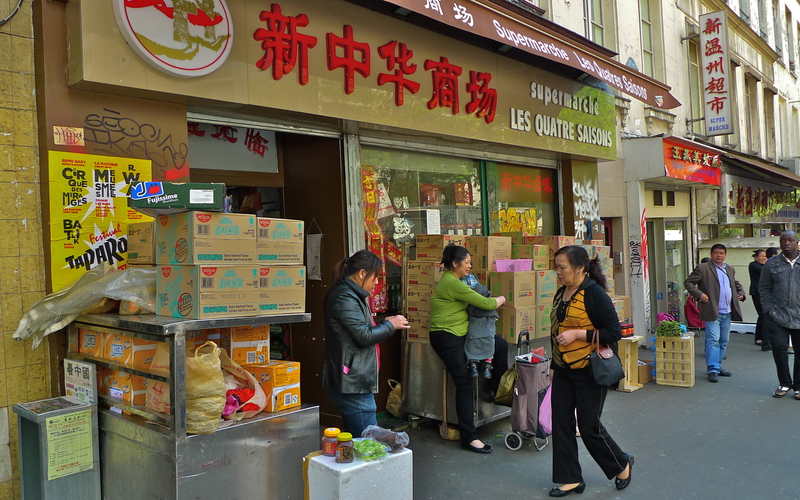 On Saturday I walked along the Rue de Belleville amidst the Chinese traders selling their wares in the shops and on the street. I also called into the Chinese supermarket to wonder at the range of Chinese foods and spices most of which I’d never heard of and certainly didn’t recognise. 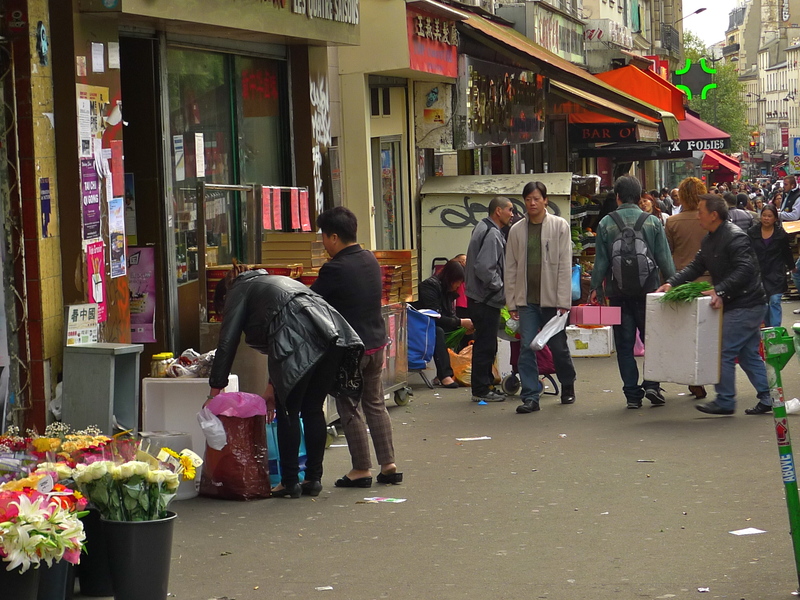 One of the features of Belleville that I find fascinating is the Chinese men who gather close to Belleville Métro station in the late afternoon. They form in groups to talk and to exchange news and gossip and although I can’t understand a word they say, I find the sounds endlessly fascinating. As I said, I really like Belleville.